It's easy, and the results are generated instantly. The Most Popular Free Fake STD Tests Online! 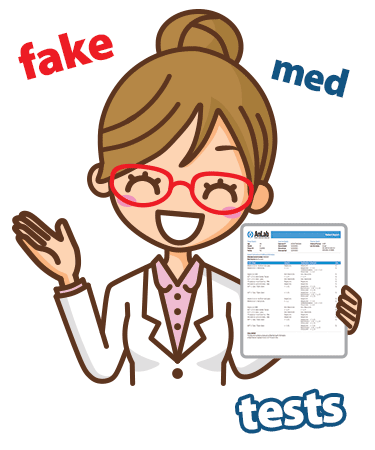 Get your fake test instantly! Check out one of our sample tests! Hep B and C "Results"
Compare our Fake Tests to the Real Thing! What is a STD or STI test? There are different tests for different sexually transmitted diseases. A STD test will return either a positive or negative result, depending on the presence of the particular disease. Some tests require a blood sample to be collected. Others require a urine sample, or a swab. The samples are gathered and sent to a lab, where they are processed. The resulting report from the testing lab will look like our fake reports! 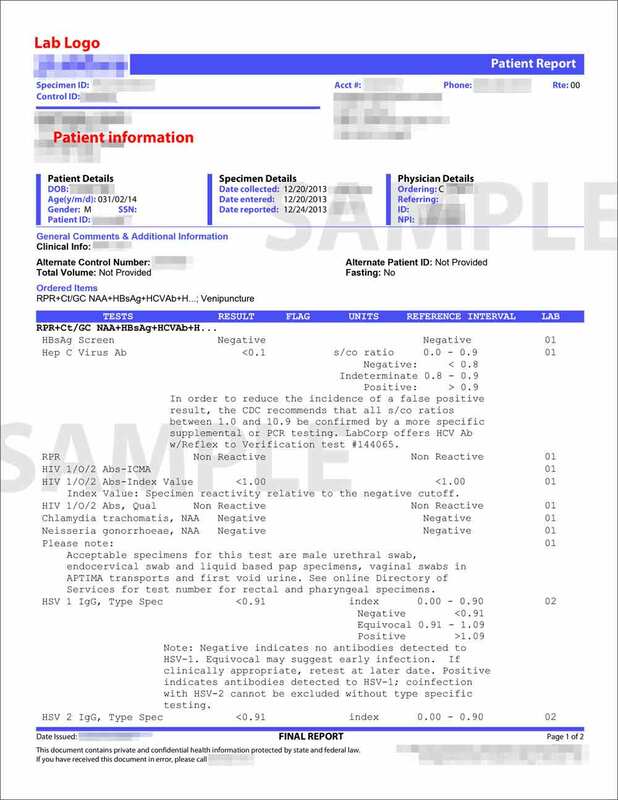 Are these fake STD test results realistic? These tests look very close to the real deal. They appear to be authentic at first glance, and are great for playing jokes! We do include a disclaimer at the bottom of our tests, though. A joke isn't funny if it is too realistic! Is this like a STD test from a doctor? 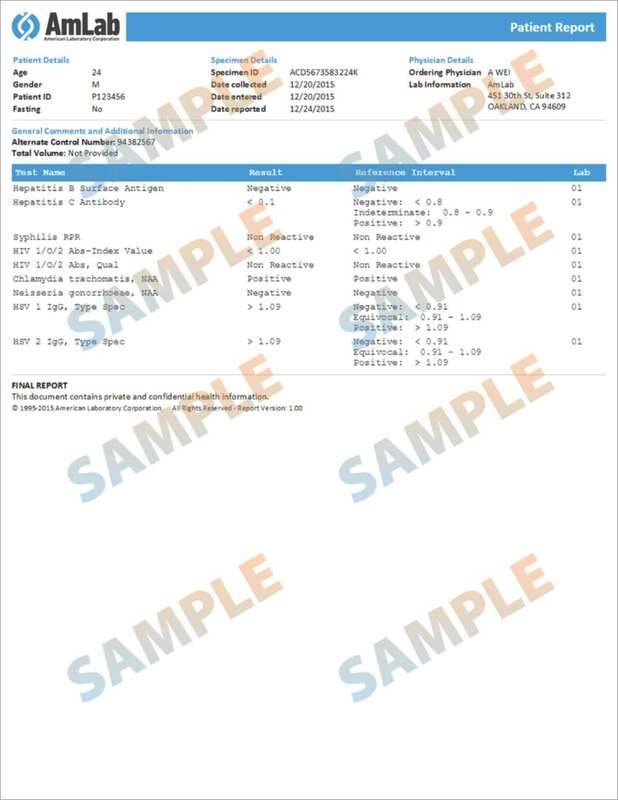 These gag STD results look realistic, but they are NOT REAL tests from a doctor. These tests are in no way scientifically accurate - they are completely fake and for amusement only! This website is not intended to take the place of a real medical diagnostic or any other tests or treatments that have been or may be recommended by a healthcare provider. If you are experiencing discomfort or symptoms, please seek out medical care. Do you keep or share any information? We do not keep or share any of your personally-identifiable, private information. In order to generate the test we ask for a gender and an age of the "test subject," but feel free to supply any information that you like! We do not collect your email address unless you supply it to us. We will not contact you unless you request to be contacted first. How private are these results? These results are completely private! 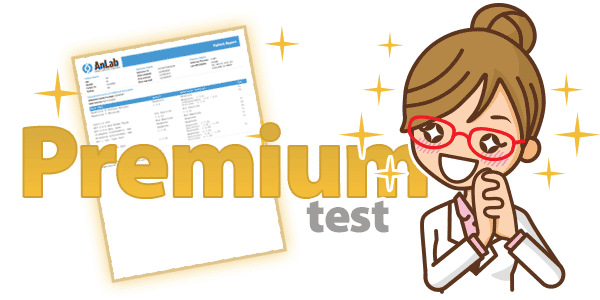 We do not retain any information that can link you to any particular generated report unless you order a premium test. We will never share your personally identifiable information with an outside party, apart from payment processing or ad network cookies. You can prank in complete anonymity, if you like! These tests may look realistic, but they are NOT real tests. Only use these tests as a prank, and DO NOT use them to maliciously decieve a person or an organization!